If you are a parent, you probably know how difficult it is to get Shelby children to brush and floss regularly. On top of that, young children often lack the necessary motor skills to properly care for their teeth. At Discovery Dental, we want your whole family to have excellent dental health, so here’s some information on how Dr. Miller can help protect your kids from tooth decay. If you have any questions or would like schedule a consultation, please give us a call. Dental sealants are thin coatings of plastic applied directly to the chewing surfaces of the back teeth. By covering areas where pit and fissure cavities are likely to form, dental sealants effectively seal out tooth decay and prevent cavities in these areas. Dental sealants are an excellent boost for dental health. Dr. Miller recommends that Shelby children get sealants as soon as their first and second sets of permanent molars come in (usually at 6 and 12 years of age, respectively). 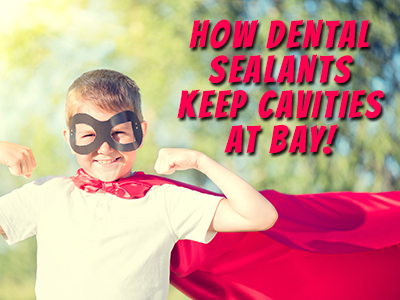 Although sealants are most commonly used for children, they can also benefit adults who are cavity-prone. Give us a call at Discovery Dental to find out how dental sealants can protect your family’s smiles!